Once a nuclear chain reaction was achieved, the role of the Met Lab shifted to development of peaceful uses for nuclear power, especially electricity generation. Argonne National Laboratory, as the successor to the Met Lab, led the research that supports every main nuclear power system throughout the world. Study of nuclear reactions continued to be of paramount importance in the lab's early days—properties of uranium, plutonium, and other nuclear elements; structural materials and coolants; nuclei and other atoms. Scientists from different disciplines worked to elucidate the process of fission— chemists, physicists, reactor designers. Chicago Pile 3, the world's first heavy-water-moderated reactor, was designed by Eugene Wigner. At Fermi's request, Zinn directed its construction in Illinois; it achieved criticality in 1944. Zinn also studied fast neutron reactors and designed the Experimental Breeder Reactor I—originally called CP-4. Like the safety rod he devised for CP-1, it was nicknamed ZIP (this time meaning "Zinn's Infernal Pile") and built in Idaho at the National Reactor Testing Station. Among the earliest reactors designed by Argonne scientists was a pressurized-water submarine thermal reactor developed for Westinghouse in 1947. They designed and developed the reactor core for the world's first atomic-powered submarine and, in 1950, built and operated the first submarine reactor prototype, the Zero Power Reactor I (ZPR-1). In January 1954, the USS Nautilus, the first atomic submarine, was launched. Nautilus introduced engines with virtually unlimited sources of power, allowing submarines to remain under water for indefinitely long periods and to travel at significantly increased speeds. The Argonne-designed reactor in the Nautilus lasted for 62,500 miles including a dramatic crossing of the Arctic Ocean in 1958. Its scientific mission determined that the ocean depth at the North Pole, two-and-a-half miles, was far greater than previously estimated. In 1953, ZPR-2 experiments at Argonne demonstrated the design feasibility of the Savannah River Production reactor in South Carolina. A decade later, the ninth in the series of zero power reactors, built in 1964, explored fundamental issues associated with full-size reactors. ZPR-9 provided data for nuclear rocket reactors and on the use of aluminum as a neutron reflector. The series of Zero Power Reactor experiments—including the Zero Power Plutonium Reactor, on which physics studies were conducted—continued until 1982 when ZPR-6 was shut down. The Experimental Breeder Reactor I (EBR-I) achieved many benchmarks during its 14 years of operation. It was the first nuclear reactor to produce electric power when it lighted a string of four 150-watt bulbs on December 20, 1951; the next day 100 watts were generated. In 1953, it was the first reactor to demonstrate the breeder principle—generating, or "breeding," more nuclear fuel than it consumed. It was the first, in November 1962, to achieve a chain reaction with plutonium; and the first to demonstrate the feasibility of using liquid metals at high temperatures as a reactor coolant. EBR-I gained National Historic Landmark status in 1966. Benchmark research in boiling water reactors began with a series of BORAX experiments in 1953, the year Argonne staff was fully established at the laboratory's new site in DuPage County, Ill. In 1955, BORAX III produced enough electricity to light up the town of Arco, Idaho—the first time in history that any town had all its electricity provided by nuclear energy. The last of the BORAX series—BORAX V, completed in 1964—allowed scientists to evaluate and study nuclear heat concepts and to demonstrate actual nuclear super-heat operation. The BORAX experiments led to the construction and operation of the extremely stable Experimental Boiling Water Reactor (EBWR) in 1956. It proved that a direct cycle boiling water reactor system could operate, even at power levels five times its rated heat output, without serious radioactive contamination of the steam turbine. In the early 1960s, two major programs were underway—construction of Experimental Breeder Reactor II (EBR-II) in Idaho, and fast breeder reactor studies. EBR-II, an experimental fast breeder reactor power station of 20 Megawatt capacity, produced electricity and proved the feasibility of the closed fuel cycle. It thus demonstrated the potential advantages of using fast reactors for central station power plants. The scientists' concept was a bold departure from traditional reactor design. Experimental Breeder Reactor II and its primary system components—including pumps, heat exchanger, instrumentation, and fuel handling system—were submerged in a large tank of sodium during operation. This pool, or pot, concept gained wide acceptance. The closed fuel cycle was also unusual. Experimental Breeder Reactor II was the first reactor to contain, as an integral part, a fuel reprocessing system that allowed spent uranium fuel to be removed from the sodium-cooled reactor, purified and made into new fuel elements, and then replaced into the reactor—the ultimate recycling, energy-saving, and waste management system. All this modern-day alchemy was done by remote control from behind five-foot thick walls. The multi-disciplinary effort included chemical engineers who devised new chemical treatment methods, metallurgists who developed tools and techniques for making fuel pins, and engineers who designed and built remote viewing and handling devices. An early device, operational in 1949, was the "master-slave manipulator." A mechanism of bars, semi-universal joints, and claw-like hands for handling "hot" isotopes by remote control, it provided many applications for industries in which dangerous and corrosive chemicals were used. It also provided basic research into robotics. Experimental Breeder Reactor II began operation in 1964. The turbine generator was synchronized and first delivered power to the Idaho test loop at Argonne-West on August 7. One-third of the core was filled with experimental subassemblies. Plutonium-uranium oxides, carbides and nitrides were among fuels tested to evaluate their performance after long exposure. The highest burnup attained was 13.8 percent in an oxide-type fuel, significantly higher than the usual 10 percent. By the end of 1970, the reactor had generated more than 250 million kilowatt-hours of electricity. During the first five years, the reactor's Fuel Cycle Facility processed 38,000 fuel elements, produced 366 subassemblies, and assembled 66 control and safety rods. In 1970 alone, nearly 20 reactor manufacturers and research organizations designed experiments based on EBR-II tests. In the 1960s, the reactor program was reoriented from water reactors to liquid-metal-cooled reactors. As the civilian power reactor program began to focus on the liquid-metal fast-breeder reactor (LMFBR), EBR-II's role changed to that of a fast-neutron irradiation facility. This was highly unusual—the reactor was converted from one mission to another not visualized in its original design. In essence, the success of the LMFBR was shaped by information garnered from the converted EBR-II. Ten laboratory units were virtually devoted to the liquid-metal fast-breeder reactor—including fast reactor physics, development and testing of new fuels, irradiation testing, post-irradiation studies, and fast-reactor safety. In 1965, the testing facility confirmed their predictions with an initial output of 250 watts of power. Four years later, 1,000 Megawatt studies on LMFBRs had been completed. By the end of the 1970s, Argonne was geared for fast reactor development. 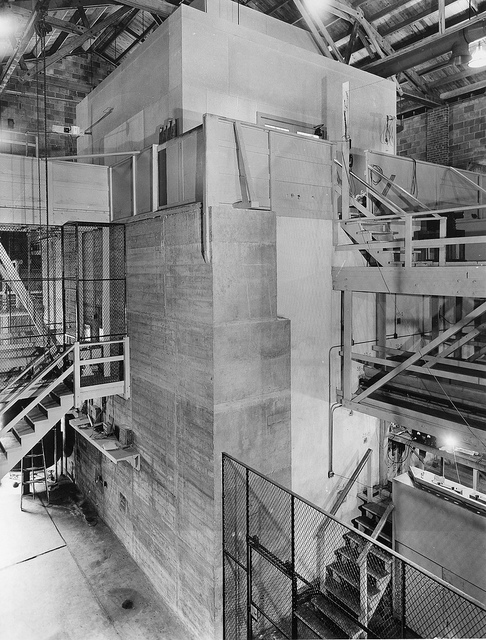 At Argonne-West, support facilities included, in addition to EBR-II, the Zero Power Plutonium Reactor; the Transient Reactor Test Facility, a versatile irradiation tool for producing extreme pulses of nuclear energy with resulting high temperatures; and the Hot Fuels Examination Facility, which began operation in 1975 to examine highly radioactive experimental reactor fuel elements and other components all by remote control. EBR-II was converted again, beginning in 1982. The next generation reactor, the Integral Fast Reactor (IFR), was a major initiative in advanced reactor concepts. The IFR was designed to reprocess its own fuel and to burn up its own long-lived atomic wastes. The design allowed creation of energy from waste—not only its own waste, but also that produced in commercial reactors, as well as plutonium from dismantled nuclear weapons. The passive safety characteristics of metal fueled liquid metal reactors (LMRs) were clearly demonstrated and confirmed in 1986 with the conclusion of the Experimental Breeder Reactor II landmark testing program. Other technical accomplishments included: development of metal fuels for LMRs capable of very high burnup—up to 20 percent; development of electro-metallurgical technology for possible applications to spent nuclear fuels, weapons plutonium, and LMR fuels; and performance of a series of safety-related transient reactor experiments which established the failure mechanisms, failure limits, and post-failure behavior of oxide and metal LMR fuels. Work on this next generation of fast reactors—clean, resource-efficient, waste-reducing reactors—was halted by Congress in September 1994 as the laboratory's mission was redirected by the Department of Energy into the development of electrometallurgical technology for DOE spent fuel treatment, reactor and fuel cycle safety, and decontamination and decommissioning technology. By then, Argonne's original mission—to provide safe nuclear energy for civilian purposes—had been achieved.